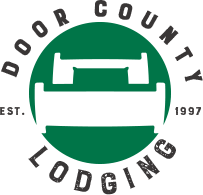 Last Minute Lodging in Door County, WI: July 3-8, 2018 Independence Day Celebrations! On July 3rd head for Harbor View Park (7809 Hwy 42) for live music by Modern Day Drifters from 5-9:30pm and food and refreshments from 4-10pm. 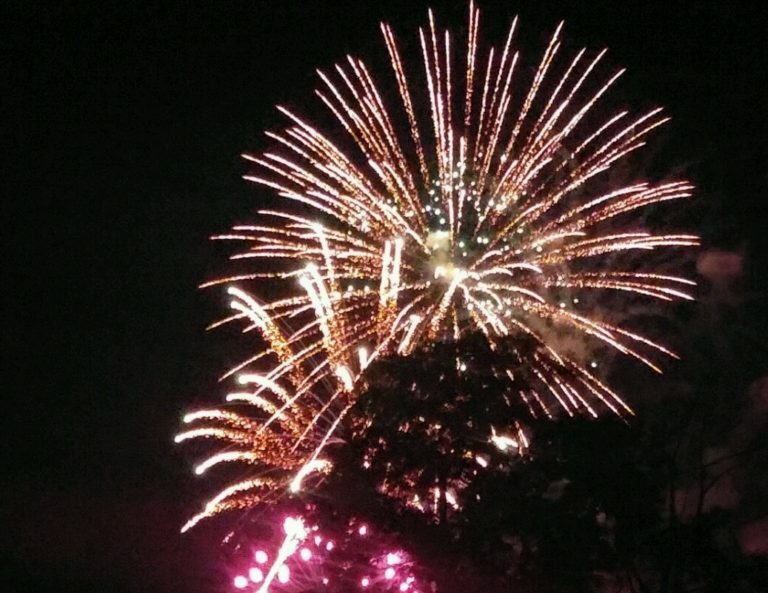 The Fireworks Display voted Best of Door County starts at dusk on Tuesday evening! 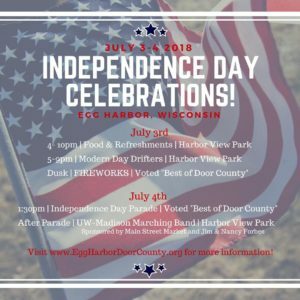 July 4th brings Egg Harbor’s Independence Day Parade at 1:30pm running south from Church Street, followed by the UW-Madison Marching Band performing 5th Quarter in Harbor View Park (sponsored by Main Street Market and Nancy & Jim Forbes). The festivities in Sturgeon Bay will be held at Sunset Park (747 N. 3rd Ave.) beginning at 5pm with an old-fashioned ice cream social complete with Door County Cherries, as well as Sno Cones and slushies. 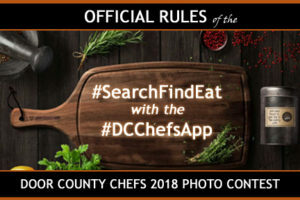 Come hungry, there will be lots of delicious food on the grill including Wisconsin fish, brats, dogs, and burgers, as well as cheese curds, nachos, and drinks for all ages. 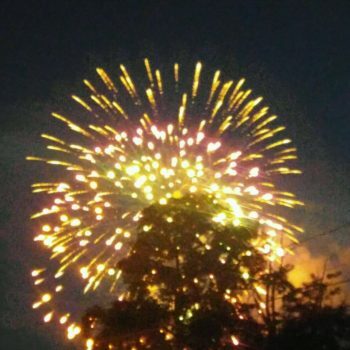 Live music starts at 6pm with Unity the Band playing until the fireworks display begins over the water at dusk (presented by Fincantieri Bay Shipbuilding). Start your day right with the Baileys Harbor Fire Department’s Pancake Breakfast from 7:30am to 10am at 2404 Park Road, then wander around the Town Hall lawn for the Arts & Crafts Fair from 8am-5pm (also on Tuesday! ), and at 9am hurry into the Town Hall for the Baileys Harbor Women’s Club Strawberry Fest – they’ll sell until gone! Kids can enjoy horse and pony rides and bouncy houses throughout the day. 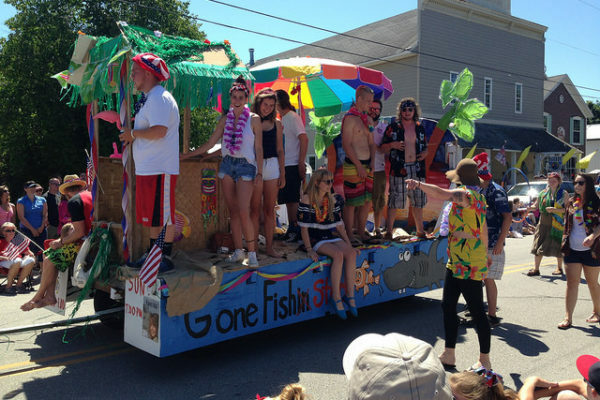 Get your spot saved to watch the parade at 10am running North to South from the Ridges Sanctuary. The Food Court and Beer Stand will be open from 10am-5pm and live music from Copper Box will keep your foot tapping from 11am-3pm. At 7pm listen to patriotic music by the Peninsula Symphonic Band until the fireworks start at dusk. There will be a variety of food and beverages available for purchase starting at 5pm with live music from 6-9pm. 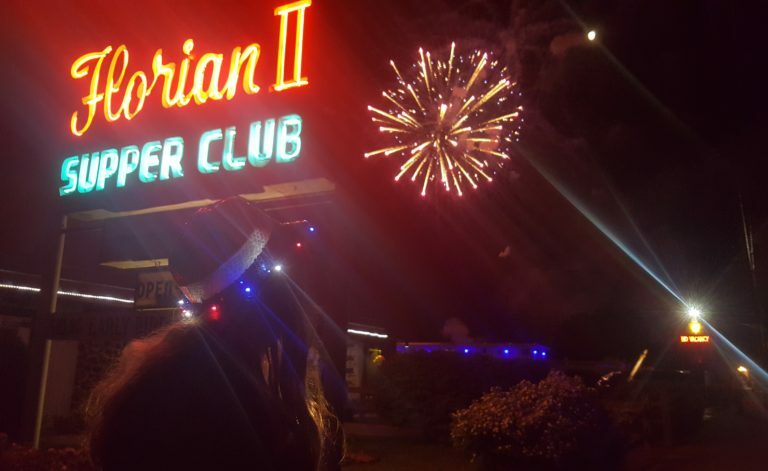 Watch the boat regatta at 7pm, and settle in for the fireworks display at dusk. Gather at the Washington Island Fire Department from 7-10am for their Pancake Breakfast and check out the firefighting equipment! Breakfast is $8/adults and $5/kids with proceeds helping to pay for future equipment. 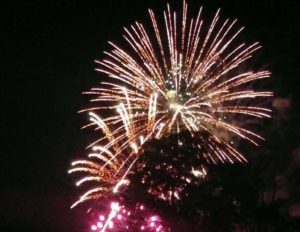 Spend a lovely day on the island then head over to the Baseball Field for the Fireworks display at dusk (around 8:30pm). 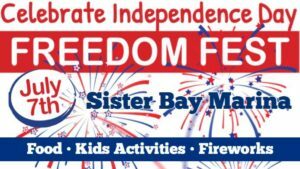 Spend your Saturday in Sister Bay celebrating Independence Day week! The festivities run from 10am-10pm staring with delicious brats, hamburgers, hot dogs, beer, and refreshments by the Sister Bay Lions Club. There will also be Kids Activities including fun inflatables and a bungy trampoline to keep the fun going, and a fireworks display at dusk. 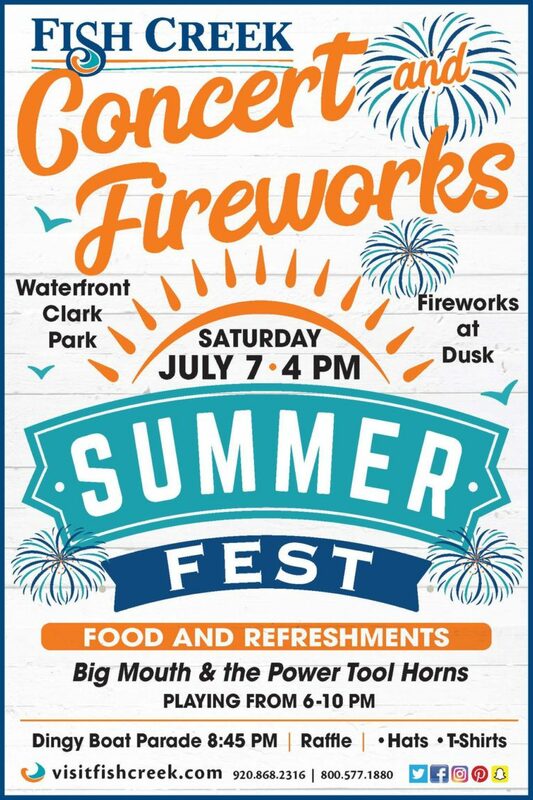 Clark Park in Fish Creek will be hopping all evening on Saturday, July 7th with live music, good eats, cold drinks, and a spectacular fireworks display over the bay at dusk. July 6/7 – one-bedroom and two-bedrooms starting at $284 per night. July 1 & 2 – a few rooms available at a special rate of just $199/night. Anytime from July 1-13 – A two bedroom one bath duplex apartment available – not in the main building that is available for $239 per night. Eagle Harbor Inn is located across from the Bay, on the main street in Ephraim, this intimate and welcoming Bed & Breakfast Inn offers elegant Whirlpool Suites with kitchenettes and B&B rooms, providing a perfect balance of quaint charm with many resort amenities. Eagle Harbor Inn has one and two-bedroom whirlpool suites and also rooms in our bed and breakfast inn available for July 3-5, including some one night stays on July 3. On other nights, we have a two-night minimum. All of the distinctly decorated B&B Rooms feature queen beds (1 w/ a double), all with a private bath, flat screen TV, DVD, cable, Wi-Fi, antique armoires and inviting chairs. The B&B is double occupancy, for 8 years old and up. A beautiful full breakfast is served in the Inn for guests that stay in our B&B rooms. Our elegant Whirlpool Suites are perfect accommodations for couples and families. The suites are located in architecturally distinct houses, each containing several units. Each suite features a 6’ whirlpool in the master bedroom with rheostatic lighting, custom soaps & loofah, two-way fireplace and a cherry wood Eastlake queen bed with down comforter & pillow selection. Also included is a private deck, a fully equipped apartment size kitchen with coffee maker, range, toaster, and microwave. There are also TV/DVD, CD/iPod stereo, living/dining room, hair dryer & iron. Breakfast is not included for guests that stay in the suites but we do offer a lovely homemade Breakfast Basket (continental for two) which will be delivered to your door to start your day.